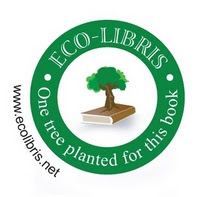 Eco-Libris blog: 'Planet Earth Gets Well' is going green with Eco-Libris! 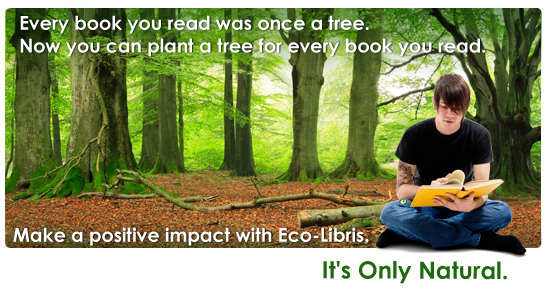 'Planet Earth Gets Well' is going green with Eco-Libris! We are always happy to collaborate with authors and especially with an author of a book with such an optimistic title: 'Planet Earth Gets Well'. 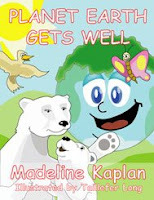 The author of the book, Madeline Kaplan, is working now with Eco-Libris to green up this wonderful green children's book. A tree will be planted for every copy sold at the book signing events and at other promotional sales. Readers who will buy the book on these events will also receive our sticker with their book, saying "One tree planted for this book". Readers of all ages will delight in this earthy and wildly fun children's tale that has a big message on the importance of environmental awareness. Moving, vast, and refreshingly candid, Planet Earth Gets Well by new author Madeline Kaplan helps young readers think proactively about their environment and pinpoints how to initiate meaningful change in order to make Planet Earth a healthier place. When Planet Earth gets the sniffles, Mother Nature challenges each of us to retract our gluttonous ways. She instructs the Planet Earth to take better care of himself which means all humans must make big changes about key issues like global warming, the melting of polar ice caps, deforestation and energy depletion. Once Planet Earth sneezes, Mother Nature listens and helps each and every one of us learn how to be good to our dear, old friend. This educational reader is wholly unique in the ways that matter-think globally, think green, and act accordingly! Madeline Kaplan holds a B.A. in English literature and an M.B.A from Baruch College. She has published various business articles, but her three grandchildren inspired the writing of Planet Earth Gets Well, her first children's book. She lives with her husband in New York and Connecticut. We are very happy to work with Madeline Kaplan on a book that promotes responsibility and have a positive message that parents can pass onto their children. I hope that the book will inspire both parents and children to go green, especially now when it work with Eco-Libris to green it up! You can find the book on Amazon.com. Great! Can't wait to read this at on an upcoming "monthly earth hour" with my family. For anyone who is interested in starting a monthly earth hour ritual with their kids visit www.talkgreen.ca for more info. 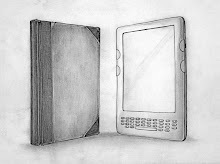 I recently posted a short list of a few earth friendly books that parents may be interested in. Thank you for your interest in "Planet Earth Gets Well". I am honored to have it read at your "monthly earth hour". I would love to hear more about your "talkgreen" website for earth hour reading rituals and would be happy to support this endeavor in any way I can. It is my hope that future generations accept being green as a given and that will only happen if we start educating them now. Wishing you many happy "earth hourse"